Starbreeze has announced the release date of Dead by Daylight, the asymmetrical multiplayer horror game from Behaviour Interactive. The title will hit PC on June 14 with a closed beta starting on May 29. In this game of hide and seek for fearless players, one controls a mad killer while four others take on the role of the survivors. Screens, teaser and three dev diaries after the jump. 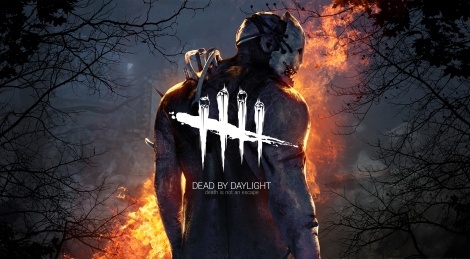 Starbreeze AB, an independent creator, publisher and distributor of high quality entertainment products, together with Canadian studio Behaviour Digital Inc. announced today that the highly anticipated asymmetrical horror game Dead by Daylight will be released on June 14th and that pre-orders will be available on Steam later today. The standard edition of the game is available for purchase at $ 19.99 / € 19.99 while the deluxe edition is available at $ 29.99 / € 29.99 on PC through Steam and other digital distribution channels. Both versions are available as 5-pack for $ 79.99 / €79.99 and $ 119.99 / € 119.99 respectively. The official soundtrack is available for $ 9.99 / € 9.99. A closed beta will be made available on May 29th leading up to the game’s release on June 14th. Dead by Daylight is an asymmetrical multiplayer horror game in which one crazed killer hunts four survivors through a terrifying nightmare. Players take on the role of both killer and survivors in a deadly game of cat and mouse. It’s a Mature Gamer take on the thrill of Hide & Seek. “The last couple of years of development have flown by and we’re really proud to finally share our vision: a truly original experience where the fear you feel is real. It was like developing two games at once as the experience is so different depending on the role you want to play.” said Stephen Mulrooney, SVP Publishing at Behaviour Digital. “Our presence at PAX East with a booth dedicated to showcasing Dead by Daylight marks the perfect opportunity to make the game available for pre-orders while at the same time revealing the final release date of the game. The team at Behaviour Digital Inc. has been working hard and the game has made great progress during the past few months. We’re thrilled to be a mere seven weeks away from launch and look forward to seeing the reception of the game among horror fans who get to try it out.” said Mikael Nermark, COO of Starbreeze Publishing. Starbreeze and Behaviour Digital Inc. are showcasing Dead by Daylight at PAX East in Boston, USA during the weekend of April 22-24. Visit our booth at #9224 between hall B and C.
Very intriguing. That blade sound effect is weak as hell, though.